The Shires Children's Long Sleeve Tie Shirt is made from a quick drying, moisture wicking fabric to ensure the rider stays comfortable during competition. This performance stretch fabric is breathable and moves moisture away from the body to keep the rider dry and comfortable. The cotton bib and cuffs keeps up appearances under smart jackets. 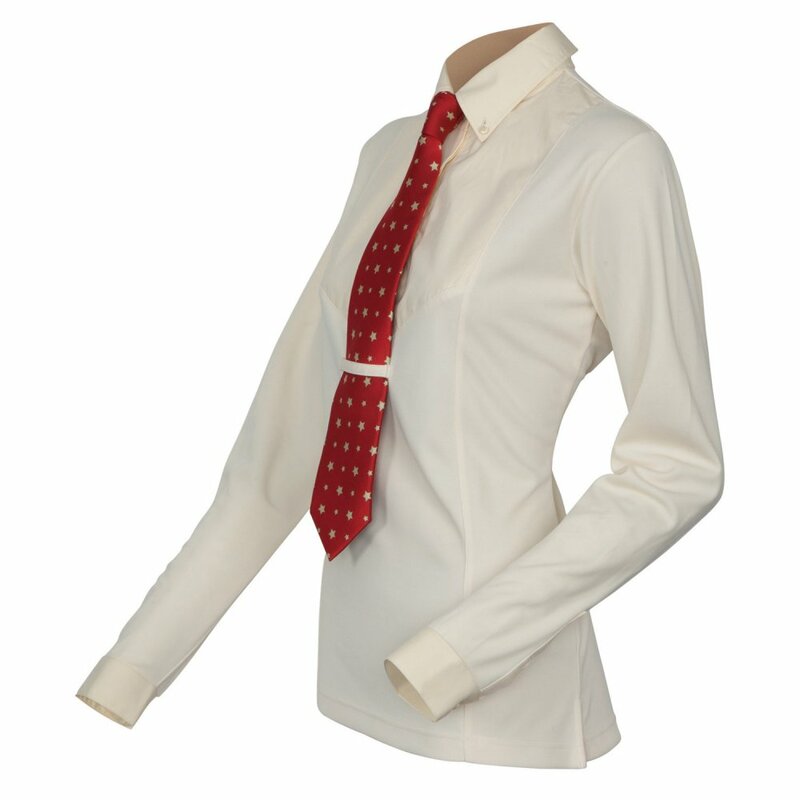 This Shires Show Shirt is an easy fit with side vents, a button down collar and tie keeper. Please note tie seen in image is not included.